Get Manny Back to the Kitchen!!! 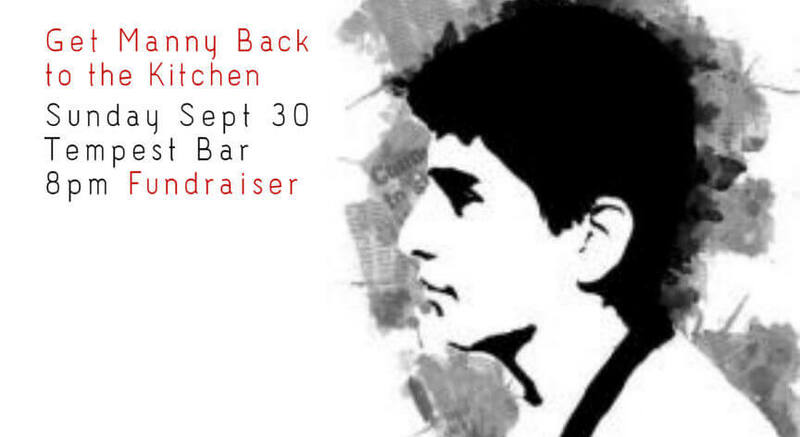 Help raise money to get Manny back to the kitchen! All donations will go directly to help fund all medical needs he is facing. The event will be held at the Tempest Bar on Natoma and Mary, in the SOMA. There will be a Satellite bar with all proceeds going to help the cause. 10 guest bartenders mixing the madness. Get down to the Tempest!! Lets do this thing!!! !